As the latest Wells Fargo scandal was breaking, the music world learned of the death of Prince Buster. He's the Jamaican ska legend who made a record called "Al Capone" and sang "Enjoy yourself/it's later than you think." I wonder what he thought about Wall Street? Banking giant Wells Fargo agreed to pay a $185 million fine last week, after it was discovered that its employees have opened than 2 million phony checking and credit card accounts in its customers' names. A week before Wells Fargo's settlement was announcement, banking giant HSBC was charged with foreign-exchange trading violations. That appears to have voided a deal which allowed its bankers to escape prosecution for a persistent pattern of violating international sanctions and laundering money for the Mexican drug cartels. 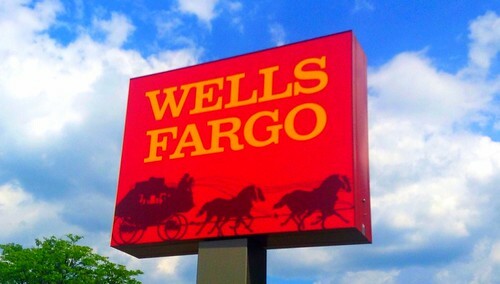 Wells Fargo has a drug connection too. Wachovia, which was purchased by Wells Fargo (apparently with bailout money) in 2008, systematically laundered money for the same Mexican cartels -- gangs that routinely decapitate their victims and have murdered anywhere from 65,000 to more than 100,000 people. Al Capone seems downright tame next to that. Chalk it up to a culture of criminality. We have often quoted William Dudley, president of the Federal Reserve Bank of New York, who spoke in 2013 of "deep-seated cultural and ethical failures" and "the apparent lack of respect for law, regulation and the public trust" in the culture of our biggest banks. Every major bank on Wall Street has a rap sheet that would make a Chicago gangster blush. Nevertheless, bank-servile Republicans -- including Donald Trump -- have been calling to disband the Consumer Financial Protection Bureau, even as it brings Wells Fargo to something like justice. That's like trying to disband the Federal Marshals right after they've caught a stagecoach robber. But then, if the Wells Fargo incident has taught us anything, it's that today's thieves are more likely to be inside the stagecoach than outside it. What is it about cultures of corruption that provokes strident declarations of patriotism? "This American system of ours ... call it Americanism, call it capitalism, call it what you like, gives to each and every one of us a great opportunity if we only seize it with both hands and make the most of it," said Al Capone. "Don't you get the idea I'm one of those goddamn radicals," Capone also told radical journalist Claude Cockburn. "Don't get the idea I'm knocking the American system." Wells Fargo CEO John Stumpf apparently agrees. "This is still the best country on the planet to do business," he says. He's got a point. 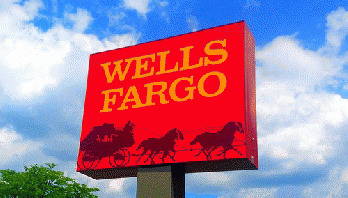 The cheating addressed by Wells Fargo's latest settlement took place between 2011 and 2015. That means it bilked millions of Americans after the same American people rescued it with $25 billion in bailout money in 2008.